Most SEO analysts will tell you innumerous things about attaining a successful SEO. But, what most of them miss out are the simplest things, such as structure of domain names and URLS. Nobody might tell you this that URL structures and domain names are one of the major aspects of a SEO. If you’re looking for some essentials to integrate into your URL structures, then probably you’ve fortunately ended up at the right place. We’ll furnish you some crucial tips and tricks that have to keep in mind before structuring your URLS. Are you ready to dive deep into the ocean of URL structure? Whether you’re or not, here’s the first secret tip for you. The simpler and easier an user experience, the more you’ll rise in search engines. Stick to a single domain as well as subdomain: while using the subdomain, ensure that your content should not hamper the ranking of your parent domain. Suppose if a subdomain is your last resort to build your website blog or generate the content that you are in requirement, then there cannot be much said. For the matter of facts, if you use a single sub and root domain, then the search engine ranking of your blog will drastically improve. Not only this! But the ranking of the overall content of your website shall attain a different level altogether. Enhance Readability: Do you know, what is the integral element of SEO in the current scenario? It is none other than accessibility. 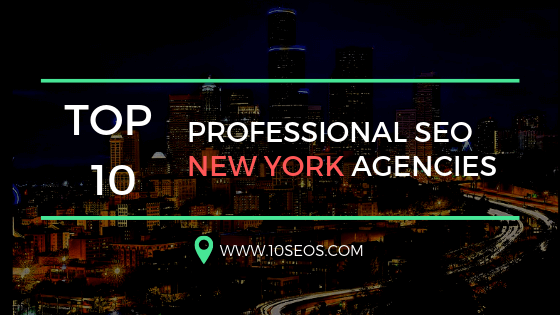 In today’s times, search engines have the potential to not only optimize advanced users but also optimize data signals to ascertain which and what kind of content people are indulged into and not. As far as possible, you should try to build your URL simple and easy. Keep this is in mind that the more understandable and readable the URL shall be for human beings, it shall have the more probability to appear in the ranking of Search Engines. It isn’t necessary that every facet of an URL ought to be flawless and menace free but what is necessary is that that all aspects of URL can be easily comprehended and seem appealing at the same time. It isn’t a difficult task, right? Keywords in URLs: Don’t seem as a bad idea: Integrating targeted keywords in your URLs can be one of your USBs. Well there are multiple reasons why this stands perfect in every sense. If you’re using targeted keywords in your website URL, then it builds trust for your brands amongst the visitors. Imagine, you furnish the customers what they are looking for. Wouldn’t be great? Imbibing keywords also improve your Google rankings. More than often, URLs are shared, and in such cases, URL serves the purpose of an anchor text in the absence of an anchor text in the URL. And guess what? This is one of the strongest factors to secure ranking. SEO is a game which is all about rankings. Then, why not give this try! Use the keywords that you intend to target in your URLS. Try placing yourself in the shoes of a random visitor! Having done that, tell me how will you choose a particular website on search engines? Of course, through an URL? Well-researched keywords target your audience better! Have the same URLs with same content? Go for Canonicalization: Wondering what to do about the multiple URLS which have the closely related content? Here’s a secret trick for you, go for canonicalization. You have two options either consider 301 redirect only if you don’t find a genuine reason to keep the repetitive content, or a rel i.e. canonical if you intend to accommodate a slight variation in your content for some of your website visitors out there. An example of the latter can be a printer-friendly page. Though you’ll be relieved to know that duplicating content is not penalized as far as it is confined to certain limits. But it can result into a division of ranking signals that can further hinder the traffic to your website. Suppose you have two pages, say Page X and Page Y which have similar content, so there’s no relevant point in maintaining both of them. You know, what’s an ideal approach here? Opt for canonicalizing them. This way one out of the two pages can have an increased chance of positioning in the Search Engine and yes, obviously more visitors! Do not take dynamic parameters when and where feasible: We’ve already discussed before about the importance of readable URLs. As far as possible, try not use URL parameters. Suppose if you have multiple URLs, then it’s time that you make some serious efforts to transform them into a non-dynamic and understandable content. A reputed seo company in Chicago uses dynamic parameters for monitoring clicks to their client website. To simply put, these URL parameters are not really a hurdle along the path of a successful SEO but they may unnecessarily add more characters to URLs. 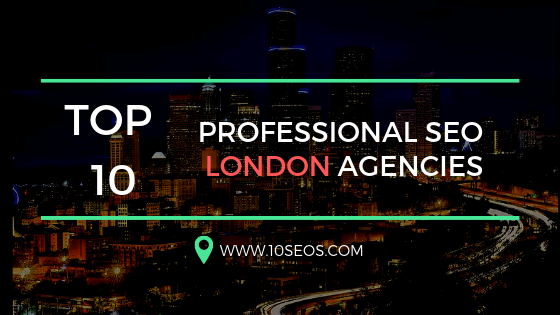 According to a detailed research by top 10 seo companies in Dallas, sharing content on social media which has shorter URLs clearly convey the intention of the site to the targeted audience and the content holds more relevance in comparison to lengthy and ambiguous URL. Use shorter URLS over longer ones: Imagine, if someone hands you over a dozen pages comprising of unnecessary content and asks you to find out the meaning of simple terms, would you even grab the loose sheets in your hand? Obviously, not! That’s exactly how shorter URLS work. They are self explanatory. By shorter URLs, it simply implies the URLs consisting of 50 to 60 characters or less. And what if you’ve a long URL, say beyond 100 characters? You need to write them again so that they can add a significant value to your content. It is not that search engines such as Google and Bing cannot refine long URLs. But the real problem is associated with appropriateness and user experience. Users too look for shorter URLs, the monotonous of task of copying and pasting stuff becomes simpler that way. Every share on social media platforms unknowingly works as a marketing tool for your business. Co-relate URLs to titles, if it looks a sense: The basic purpose behind this is to develop an understanding of the content that unfolds within that particular URL. Assume if you encounter an URL and a meta description that are poles apart, then how would you know that what is in the store for you? This is may be one of the major reasons that top 10 seo companies in Dallas suggest that there should be a close proximity between URL and the readable headline of the page. Here’s a simple logic behind it too. One evokes an user’s expectation to the content that he may discover on a certain page via the URL, whereas the other one matches up with that expectation with the headline on the page. Don’t get confused but make it a practice to adhere to a similar ground of clarity between your URLs and headlines. URL should provide a sleek peek into your content followed by quick delivery by your well-defined page title. Does it seem too clear and apt? Stop words are not mandatory: No matter if your page headline is inclusive of stop words, such as and, or, but, it is absolutely optional to use the same in your URL. But this does not mean that you’ll ignore them altogether. At times, these stop words are of great help when it comes to restructuring an URL shorter and making it understandable. It is solely upto you to include them or not in terms of readability and longevity. You can opt for stop words if you have an opinion that it enhances the readability and does not hamper with the length of the URL. Look for unmanageable punctuation marks: There is a wide array of text characters that are put into URL. But, do you know the difference between the safe characters and unsafe characters? Safe characters include alphabets and numbers, special as well as reserved characters solely for their reserved uses. These characters do not require any kind of encoding. On the other hand, unsafe characters comprise of blank spaces such as *, <, >. 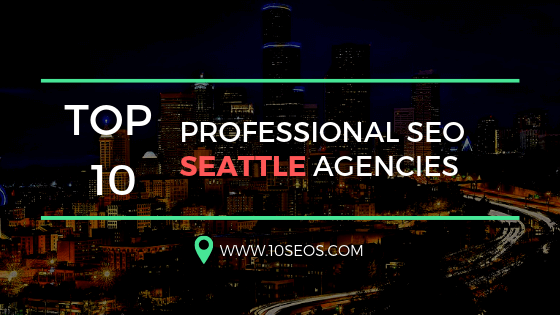 Usually, dallas seo company and seo company in Chicago consider it a good practice to either eliminate or monitor such characters that make URL lose its essence. The consequences of using such unhandy characters in URL are not limited to the appalling readability. They also have the ability to shatter specific browsers, crawlers and even, appropriate parsing. Take Control of Redirection Hops: For an instance, if you are a user who seeks a request to direct to URL XYZ, but you are redirected to some other URL, say PVR. It will be pretty cool! But, if URL PVR further redirects the user to URL ABC. This may not seem as an ideal approach. You know, what would be better? In this situation, the right approach could be directing URL XYZ directly to URL ABC. To simply put, search engines will adhere to these two or more redirection hops but according to best SEO company in Chicago, search engines are not completely in favor of such practices. Search engines may set their eyes for less significant URLs and may not adopt or track the ranking indicators of the redirecting two or more URLs wholly. This is merely a partial picture to the bigger issue. No, this is not the actual problem. The bigger picture to this issue is that longer redirect strings can slump and hinder not only the browsers but also the users. The solution to this is quite simple. Take control of redirection hops but limit it to merely two or lesser. The Lesser folders, the better it is: By that, I don’t mean that the folders or slashes have the potential to obstruct the performance of the page or content. But it provides an insight into the intricacy of the site to search engines and users. It is not set as a defined rule of using fewer slashes in URL. You need to use your discretion and then, make a better decision. Restrict the use of Hashes: Hashes commonly known as URL fragment identifier have been an easy way to direct a user to a particular address on a particular page. Another common use of hashes is for tracking parameters. If you’re using hashes to display a separate content than the content that is featured on your page, then it may not seem as the best use of these hashes. Of course, there are a few to which this rule does not apply such as Google enables for developers out there. You’ll not be surprise to know that many huge websites including Amazon and Twitter have attracted numerous benefits in transforming their complex, hash-integrated URLs into simpler ones. Try to avoid using hashes in URLs as far as you can do. 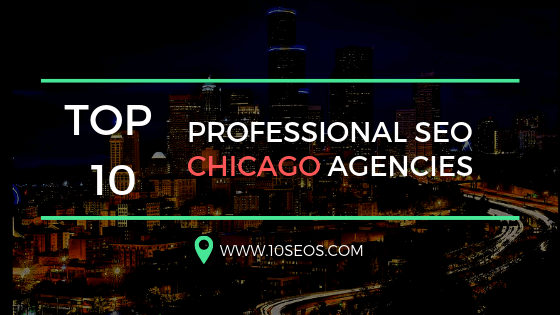 BE AWARE of case sensitivity: Recently, the best SEO company in Chicago in its newsletter opening stated in length about the major issues related to case-sensitivity in URLs. You have to be wary of using different cases on different servers. For an instance, if you are working on either Microsoft or IIS server, then you’ve simplify the long URLS. Whereas if you’re using Linux/ UNIX, you need to be extra careful as these servers differently decode the separate cases. Even if the URLs that imbibe incorrect cases should redirect to the right URLs. Isn’t it? Use Word Separators such as Hyphens and Underscores: Over the period of time, search engines have addressed the challenges and issues they had with hyphens and underscores. Presently, Search engines address both of these word separators in the same way. Although Google and Bingo treat hyphens and underscores in a different manner. 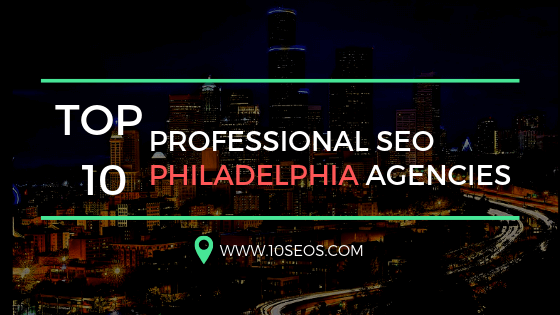 To highlight SERPS, you can take the assistance of hyphens and underscores. Underscores also serve the purpose but they often diminish the readability of the page content. Choosing the better word separator between hyphens and underscores is solely on you. Some may tell you that hyphens are better while other may say that underscores the best. But it is on your discretion which one to go for. Say ‘No’ to Keyword Stuffing: There are specific keywords that are relevant to a specific business. Initially, you need to do a detailed research for the keywords that are appropriate for your business. Once you’re done with the research, it’s time for another major step. The next step is certainly integration of the targeted keywords into your content and URL. If you are using the same keywords over and over again, it will not be of much use to you. Search engines easily detect such repetition and penalize the websites on account of overstuffing the content with the relevant keywords. The algorithms of search engines come up with new defined rules and regulations every now and then regarding usage of keywords. Overstuffing may hamper your chances of ranking on the search engines. So, act wisely and smartly. Keywords can be a game changer in the digital world of SEO. Now, you’re all ready to create a perfect URL for your content. Remember, structuring your URL in an optimized way is merely setting the foundation for the long journey of attaining a successful SEO. Wish you all the luck. I hope, you found this article useful. For any kind of queries or suggestions, connect with us!